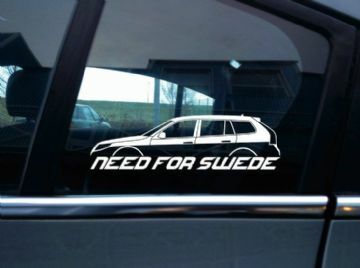 1x " Made in Sweden perfected in my garage " vinyl sticker. 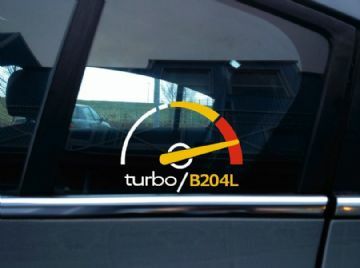 2x Saab 900 Turbo personalized classic car stickers. 2x Low classic Saab 900 Convertible silhouette and custom text stickers. 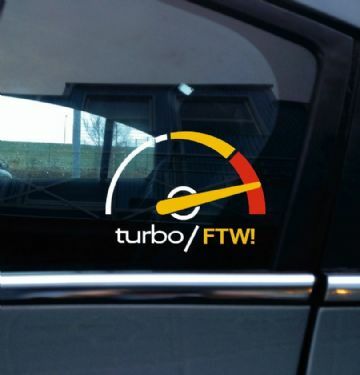 2x Low classic Saab 900 Turbo silhouette and custom text stickers. 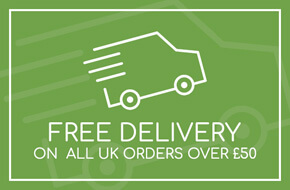 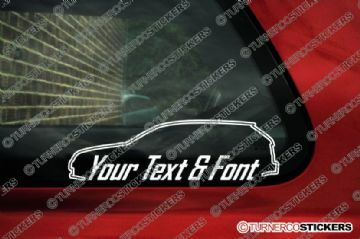 2x Low classic Saab 95 delivery van silhouette and custom text stickers. 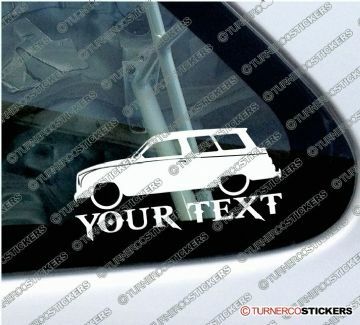 2x Low classic Saab 95 station wagon silhouette and custom text stickers. 2x Low classic Saab 96 silhouette and custom text stickers. 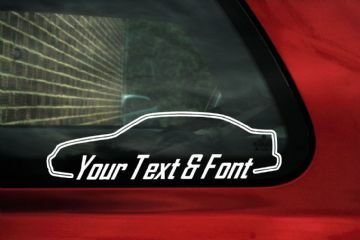 2x Low classic Saab 97 Sonett III silhouette and custom text stickers. 2x Low Classic Saab 99 turbo 3-door silhouette and custom text stickers. 2x Low Saab 9-2x silhouette and custom text stickers. 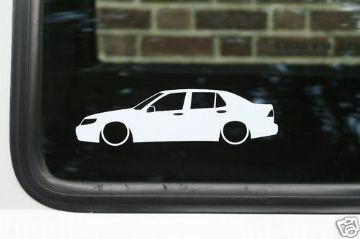 2x Low Saab 9-3 sedan (2nd gen) silhouette and custom text stickers. 2x Low Saab 9-3 wagon (2nd gen) silhouette and custom text stickers. 2x Low Saab 9-5 sedan silhouette and custom text stickers. 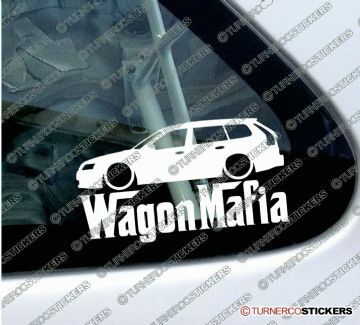 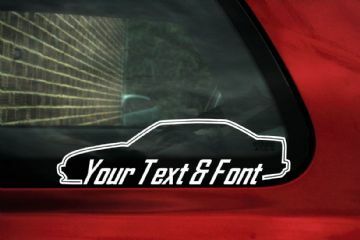 2x Low Saab 9-5 station wagon silhouette and custom text stickers. 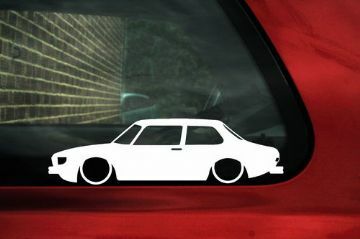 2x Low Saab 900 NG 3-door silhouette and custom text stickers. 2x Low Saab 900 NG 5-door silhouette and custom text stickers. 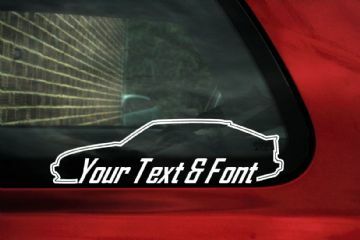 2x Low Saab 95 classic delivery van silhouette and custom text stickers. 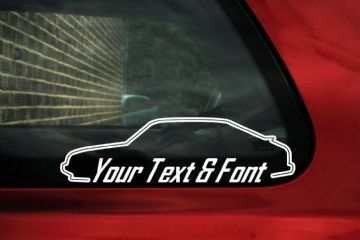 2x Saab 9-3 sedan (2nd gen) sedan personalized car stickers. 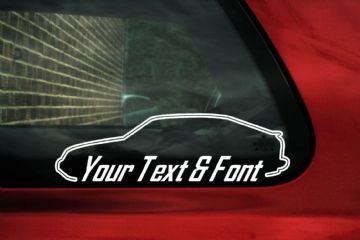 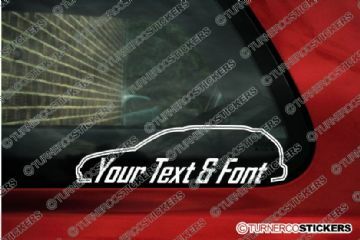 2x Saab 9-3 station wagon (2nd gen) sedan personalized car stickers. 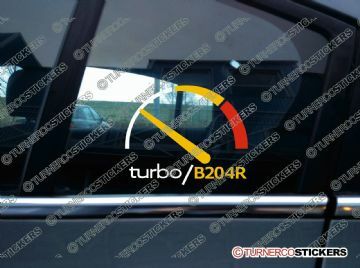 2x Saab 9-5 aero sedan Turbo personalized car stickers. 2x Saab 9-5 station wagon personalized car stickers. 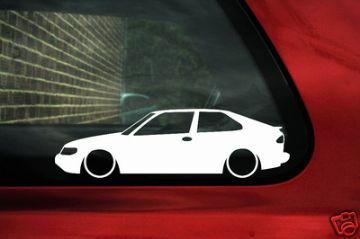 2x Saab 900 NG personalized classic car stickers. 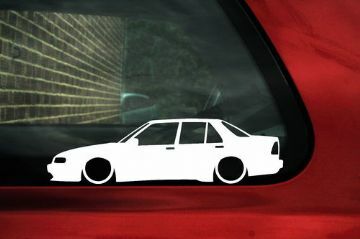 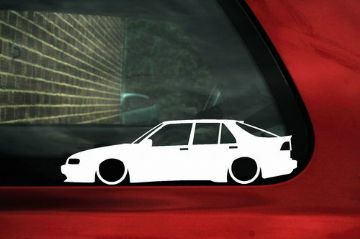 2x Saab 9000 sedan personalized car stickers. 2x Saab 9000 CS liftback Turbo personalized classic car stickers. 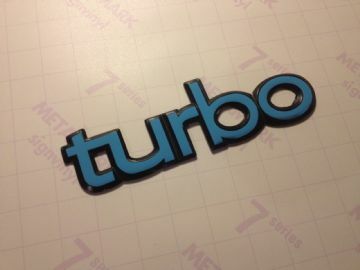 2x Saab 99 Turbo personalized classic car stickers.